Gonner, from developer Art in Heart, is a procedurally-generated platformer with a bit of roguelike tossed in for good measure. 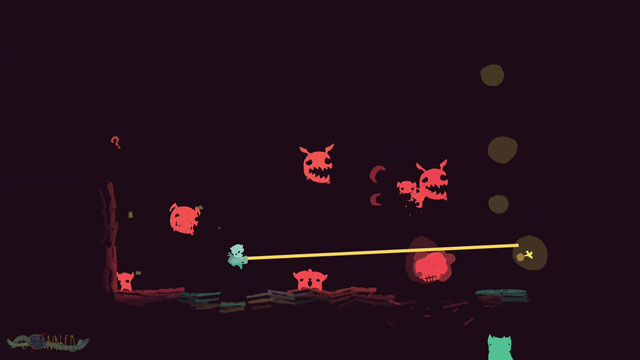 In this game, you'll want to stay on the move as you blast away at a variety of monochromatic enemies while occasionally being eaten and shat out in order to move between levels. The player has access to a number of blasty weapons including a machine gun, shotgun and laser rifle, which will help him to stave off a trip to the underworld for a little while. But dying lets you pick out new weapons and a new head, which affects your skills during your next run, increasing your resilience or letting you do things like perform a spinning double jump. But you lose your head if you take damage (and your gun), and you have a limited time to retrieve it or your next hit sends you back to the underworld. The game is coming to PC and Mac via Steam this summer.